Little eLit in the News! 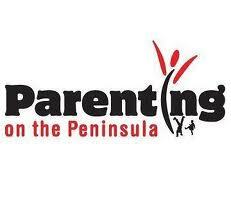 We’ve been profiled in Parenting on the Peninsula! Check out page 8 of the March issue. Caryn Huberman Yacowitz, an author, playwright and journalist, contacted me last month because she had been given the task of reviewing and choosing some apps to be recommended in Parenting on the Peninsula. Caryn normally reviews books and music, and she was excited to learn more about educational apps and eBooks to share with her grandchildren. We had a great email correspondence, and the result was this article! I’ve included the full interview below. Just a wee correction from the article: I don’t actually “specialize” in Technical Services at the Mountain View Library, I’ve just done a few projects in the Technical Services department- I mostly hang out on the Adult Reference Desk. I was a relatively late adopter of eBooks and Apps for young children. What got me going on them were the parents at my storytimes asking for recommendations for electronic literature to share with their young children; they had dropped $20 or $30 at B&N, iTunes or Amazon and were unsatisfied with the content. I didn’t know what to recommend, so I got a Kindle Fire and started using my Android smart phones and tablet to review eBooks for children age 2-5 and blogged the results. What I tend to gravitate towards are apps that are based on books, or that support the development of the six early literacy skills (vocabulary, print motivation, print awareness, narrative skills, letter knowledge and phonological awareness). The ones I look for are often based on print books but include all sorts of bonuses: games, songs, recording capability, drawing, image manipulation etc. eBooks are a kind of app and in some instances differ from print books only in their format, not their content. They may contain light animation, narration or music but little or no interactivity. 1. At what age do you think apps are appropriate for children to use? Why? The American Academy of Pediatrics recommends absolutely no screen time before the age of 2 (see their full report here). We don’t watch TV in our house, but once my son turned 2 we began exploring apps and eBooks with him. 2. Do you have specific things you look for before recommending an app for children? Could you explain a bit. When it comes to eBooks, the waters get a little muddier when it comes to recommendations. It often depends on what you’re looking for. Are you looking for a number of titles to load on to your iPad to read with your child on a long plane ride? Does your child already love the print version of a book and you’re looking for something more interactive to support their interests? Are you willing to pay for the content or do you only want what’s available for free? What sort of device do you have? Since eBooks are such a new phenomenon, the marketplace is still fluctuating in terms of standards of quality, content, price and usability. There was a great interview recently with Chris Stevens, creator or Alice for the iPad. Stevens basically said that publishers have handed over the design of good books over to developers who have no idea how to design a good quality app/eBooks. I tend to agree with him, but I’m always on the hunt for some really good literary apps to share with my son, and with my readers. I have found that often if a developer has one good app/ebook, it’s likely to have more. Loud Crow did A Charlie Brown Christmas and many of Sandra Boynton’s books, Flying Word did Twinkle Twinkle Little Star: The Experience, and Trilogy Studios did Harold and the Purple Crayon. I will be watching these companies to see what else they come up with. 3. What restrictions, if any, do you think should be put on the use of apps? Restricting the “what”: It is the parent’s responsibility to decide what is appropriate for their child to view, and the parent should always be actively involved with their child’s media consumption. That said, most apps come with age ratings, and it is the parent’s job to gauge their child’s readiness, interest and reaction. Restricting the “how much”: I do think that it is very tempting for a parent to hand their young child a smart phone and say “here! play angry birds while mommy does the dishes!” (I’ve done it myself!) but we must be mindful of how long we let our children interact with digital media. Again I defer to the American Academy of Pediatrics- they say no more than 1-2 hours a day. 4. Do you think using apps has an effect on a child’s reading/reasoning/learning? Could you explain? 5. Are there apps that involve both child and adult? What is your take on such apps and could you give me the names of a few. Yes! In fact, when I review apps/eBooks for Little eLit, I am doing it with the assumption that parents and children will be enjoying them together. Traditional literacy is developed by caregivers and children sharing books regularly, and digital literacy should be developed the same way. The Association for Library Services to Children put this up on their blog recently, and I agree with their choices: Five Great Apps for Under Fives. Posted on March 5, 2012, in Apps. Bookmark the permalink. Leave a comment.